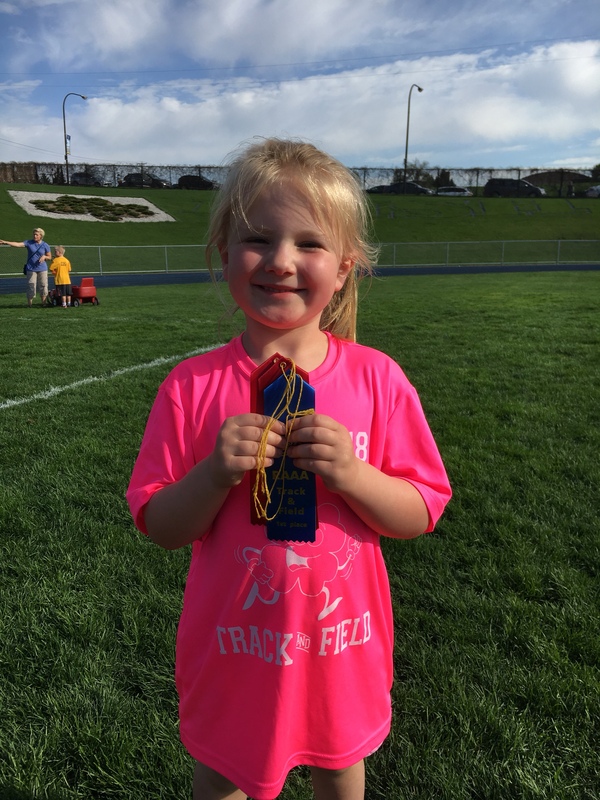 Last track meet of the year and she came home with her first blue ribbon! She got two 2nds ( 50m and 100m ) and one 1st ( 8 x 100m relay ). Olivia still has a cold, so I kept her home from school today. We ended up running some errands, lunch at Sam’s and playing at home. We had to cut our second camping weekend a little short because Olivia is sick… but we made the most of our day by going to the playground, picking flowers and roasting marshmallows.